1956 Born, Ahmedabad, (Gujrat State). 1983 Diploma Drawing and Painting from sheth C.N. college of Fine Arts , Ahmedabad. 1987 - 1990 Member, Gujrat state Lalit Kala Academi. 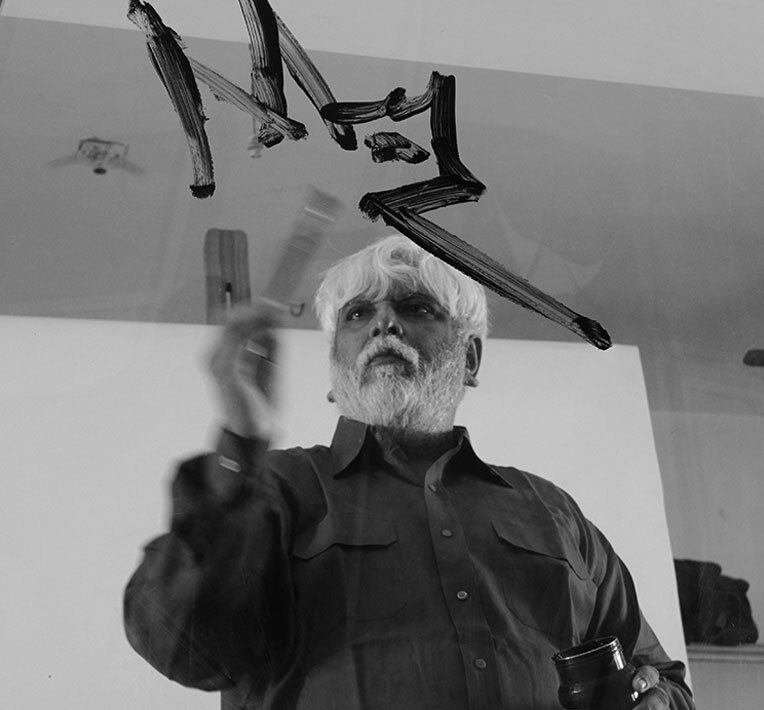 1982 – 83 Worked as an Assistant Display Artist for Shri Piraji Sagara Restropetive Exhibition organized by Centre for Environmental Planning & Technlolgy,Ahmedabad. 1988 In Behalf of West Zone Cultural Centre,Udaipur with Assistance of Gujarat State Lalit Kala Acadami Ahmedabad, Municipal Corporation at Lalitkala Art Gallery,Painting has been made from the Students. 1989 During the Pandit Nehru Ceremony year 1989 A Drawing competition was held in Firdaus Amrut High School for the student of Ahmedabad school it was Inaugurated by Educaton and Finance Minister Shri Arvind Sanghvi. 1991 Invited an International Exhibition of Paintings, Sculpture and Graphics Organized by panchmani in collaboratioz with INDO-SOVIET NICOLAIROERICH ART CLUB, New Delhi – 1. 1992 I have visited “Royal Annual Exhibition 1992” – Europe Organized by Royal Over – Seas Leagve and Common Wealth Institute, (London). 2001 Invited Indian’s and Germen’s Artist at Volcoscovelvi- Day-Land-Kerifloda-Germany-Group Show,(Germany). 1993 - 1996 Member, National Lalit Kala Academi, New Delhi. 1980 Hon. Secretary, L & P Hutheesing Visual Art Centre, Ahmedabad. 2003 Nehru Centre – Group show – (London). Ex. Member of General Council Lalit Kala Akademi.Ministry of Cultural Government of India. New Delhi. Ex. Administrative in charge Amdavad Ni Gufa, Ahmedabad. ( Doshi Hussain Gufa) Ahmedabad. 2012 Kankaria Carnival Satkar Samarnbh Ahmedabad Municipality corporation, Ahmedabad. 1998 Ahmedabad Municipal corporation and Education District Office recevingTeachres’s Award felicitate. 1990 National Awards. National Lalit Kala Academi - New Delhi. 1989 Ahmedabad Municipal Corporation, Ahmedabad. 1987 - 88 National Fellowship (Two Years). Ministry of Human Resources Development Department of Culture, New Delhi. Voipaala art centre. Finland Firdus Amrut Centre, Ahmedabad. Amdavad Ni Gufa, ( Doshi – Hussain Gufa ) Ahmedabad. L & P Hutheesing Visual Art Centre, Ahmedabad. Zaga Zorosgrain group(Parsi Student) of Ahmedabad. State Bank of India, Ahmedabad. 1984 Attended Film Appreciation Course, Jointly organized at FTTI (Pune) and L & P Hutheesing Visual Art Centre,Ahmedabad. 1983 Attended Paintings Work-Shop Organized by Gujrat State Lalit Kala Academi at “Saputara”. 1978 - 79 In charge, Contemporary Art Gallery, Ahmedabad.